The Selling Company: Headquartered in Calgary, Enerflow Industries Inc. is a technology powerhouse that is at the forefront of hydraulic fracturing. It engineers and manufactures custom fluid pumping, blending and cementing units, drilling and service rigs, and advanced control systems. With annual revenues exceeding $400 million and several hundred thousand square feet of facilities in Calgary, Tulsa, and Houston, this company manufactures equipment for most of the leading fracturing companies in the world. Why the company was sold: The shareholders faced large investments in new facilities and working capital to meet escalating customer demand for new and replacement equipment. By selling the company at this point, the shareholders were able to eliminate their personal risk exposure and gain substantial liquidity and estate diversification. Capital Alliance’s Performance: Capital Alliance negotiated several offers from multi-billion dollar strategic and financial acquirers who had operating expertise within the energy industry and substantial capital available to fund future growth. Capital Alliance’s superior marketing and negotiating skills were critical to solving complex issues regarding price, working capital, personal goals, and taxes. Capital Alliance substantially exceeded the price and other expectations of the selling shareholders. Terms of the Transaction: Terms included all cash at the closing, all the cash on the selling company’s balance sheet, and $20 million in favorable working capital adjustments. 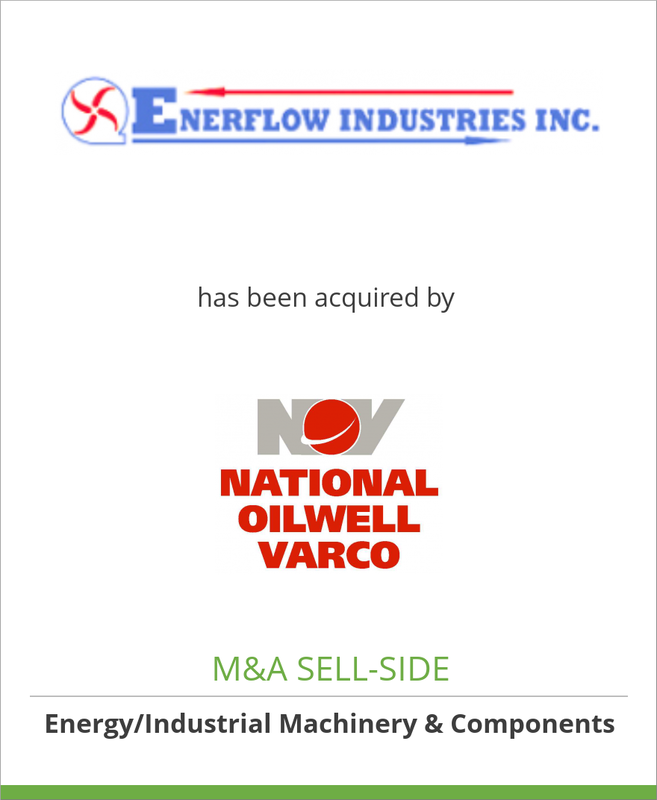 The Acquiring Company: National Oilwell Varco is a worldwide leader in providing major mechanical components for land and offshore drilling rigs, complete land drilling and well servicing rigs, tubular inspection and coatings, drill string equipment, extensive lifting and handling components, and a broad offering of downhole drilling motors, bits and tools. In 2011, this publicly-traded company had $14.6 billion in annual revenue and $34 billion in market capitalization. The purchase price was paid from cash on the acquirer’s balance sheet and the offer was not subject to any financing contingencies.